I swiped this from Kat’s website! 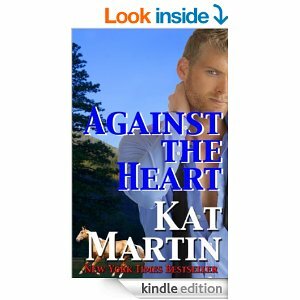 I am thrilled to have Kat Martin on Writer Wednesday. Kat and her husband, Larry, have been friends with my parents for many years, so it was of particular wonderfulness to be able to go see them and have lunch with them last month. 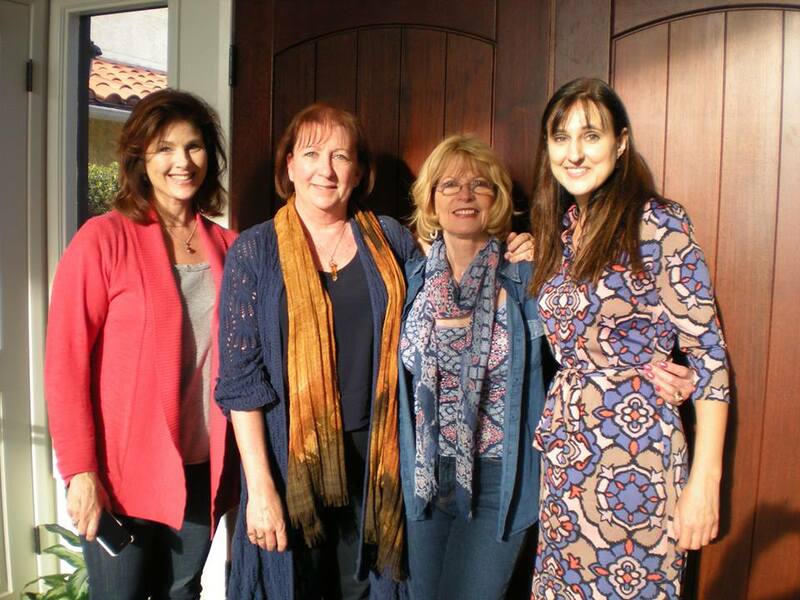 Left to Right, Julia Blake, me, Kat, and Tonya Plank – a lovely lunch! Let’s jump right in to the interview, shall we? CA: They say every writer remembers when they got “the call” (or the letter) for publication. Would you share your story? Kat: I was sitting in a restaurant with my hubby and my 3 best friends. Agent called. Said I had sold my book. She said I got 4. Since I had been turned down by every other publisher in New York, I assumed that meant $400.00 I didn’t care. As far as I was concerned, my career was launched. Later I found out it was $4,000! Which was a whole lot better since we really needed the money! CA: Wow! That’s totally awesome. What is the hardest part of writing for you? Characters? Story? Sagging middle? What’s the easiest part? Kat: There is no easy part. Characters seem to take care of themselves, so that isn’t tough for me. I worry about saggy middles. I worry about making all the pieces and parts come together in a way that makes sense. I don’t relax until I reach the end and know I actually have a book. CA: Wow – I was so hoping for an easy part! What was the best decision, writing-wise, that you ever made? Kat: Remains to be seen. I’ve changed publishers, agents, editors, many, many times. Always with the idea of moving forward, moving my career ahead. They were all tough decisions and there is no real way to know if they were the right ones. At least not yet! CA: So maybe it’s continuing to write? What was the worst decision, writing wise, that you ever made? Kat: Probably leaving Pocket Books. They really wanted to make me a star and they had the power to do it. Trouble was, they were really difficult to work for. It was affecting my health and my creativity, so I moved somewhere else. Lost a great chance. CA: But you have your health, and your creativity, so maybe you didn’t lose anything?You’ve written and had published over 60 novels, many of which landed on the NYT Bestseller list. Is getting on the list still as exciting now as it was the first time you hit it? Kat: It’s just as exciting for sure! And you never know if you are going to hit so it makes you edge-of-your-seat nervous. Thrilling when it happens. CA: Do you have a ritual that you do before you begin writing each day? Kat: As with most women, my ritual starts with coffee, showering, make-up, hair, and getting dressed. Then I do my email, check in on Facebook, then start working on my novel. I go over what I wrote the day before and charge forward. CA: I guess what I’m really asking is, do you ever procrastinate from writing, or do you just jump right in? Kat: No way to procrastinate if you have a contract. You don’t get paid if you don’t deliver, so if you plan to pay your bills, you go to work, just like any other job. CA: Well, yeah, that’s totally true! You live part time in California, and the rest of the time in Montana. In five sentences or less, what are the highlights of both places? Kat: I live in the two of the best places in the world. In California, it’s all sunshine and blue skies. I live on one of the harbor channels so I get to watch the boats go in and out all day. Seals come up to our dock. In Montana, beautiful mountains, rugged landscape. It’s a hard life, nothing like the beach. 70 mile round trip to the show. But the wilderness is exhilarating. Lots of wildlife, eagles, deer, Osprey. You can be in the high mountains in about 5 minutes. Whoops, that’s more than 5 sentences! CA: Oh, that’s okay – like I’d edit you, lol! So, do you go to writers’ conferences, readers’ conferences, or both? Why or why not? Kat: I go to both. I don’t like to fly or I would go to more of them. I do it, but don’t like it. My husband goes with me. We usually hit RT, RWA, Western Writers of America. I love Thrillerfest but its usually close to RWA, so I try to alternate. CA: How big a role does social media play in your marketing strategies? Kat: Since I don’t understand how to use it, not a lot. I have a Facebook page. I’m on it. I don’t understand the likes and all of that. I don’t have any idea how that works. CA: LOL – well, I can aim you at classes in Facebook if you want! So is marketing your novels now much different than when you first started? Kat: It’s totally different. We traveled the country talking to book buyers. There were 1200 at the time. Now there are about 5 and you can’t get in to see them. And digital plays a new and extremely important role. CA: Wow, I had no idea. Do you feel the marketplace is now more open for new writers, or is it more difficult, with the advent of self-publishing? Kat: Way more difficult for newbies and for writers published in print. New authors are buried in the hundreds of thousands of old and new books (particularly in romance) that are being put up as e-books. Established authors have a thousand times more competition. CA: Ouch. What do you wish someone had told you when you first started writing? Kat: Nothing anyone said would have mattered. I would have just kept on going, even if someone told me how hard it was going to be. It’s a calling for some of us…a compulsion that seems to have no end. CA: Oh yeah, I totally resemble that. So what is your favorite genre to read? Kat: Romance is my fav. I read across a lot of different genres, though. A good book is a good book. Period. Kat: I constantly read. Anything and everything. Little things pop into my head as I move through a story, things the author is doing that remind me of things I need to be doing. Movies, TV, books. All are great for ideas. Hugs or kisses? I love kissing, but it depends on whose doing it! Hugs are almost always good. Peeps or Cadbury Eggs? Cadbury. CA: Anything else you want to talk about? Kat: A little advice? If you want to be a writer, keep writing and don’t let anyone stop you. Persistence is the key. My website ; Facebook ; and Twitter is @luvromance. A novella, only 99 cents! Against the Heart, a novella is out in e-book only for $.99 cents. Devil’s Prize, historical, just re-issued with a gorgeous new cover. I’m so GLAD Kat could stop by! I’m hoping she’ll hang out today and answer questions, if you’ve got them for her. This entry was posted in Writer Wednesday, Writing and tagged Against the Heart, Christine Ashworth, Kat Martin, novellas, Writer Wednesday, writing advice. Bookmark the permalink. 9 Responses to Kat Martin on Writer Wednesday! Terrific interview! It’s kind of reassuring to know someone who’s published over 60 books and many NYT bestsellers still find the business of writing challenging. I hope “Against the Wild” lands her on the lists again! Thanks, Samantha– I’m already sweating it out. New publisher and I would like to do well for them, and for me. Sam, I agree – I’m SO hoping she hits it again! Loved the interview and particularly loved the part about just continuing. Yep. Write! None of the Alaska books are out yet! I’m still writing them! Against the Wild will be released May 27. Yep. It keeps coming back to that, doesn’t it, Maria? Cheers hon! Christine–loved our chance to chat. thanks for having me. To al lyou authors–keep writing and never give up!